I’ve always been a huge fan of the original Castlevania. From playing a borrowed cartridge on the original NES, to my first steps getting into emulation in the mid-90s, to playing the classic release on the gameboy advanced, back to the original NES cartridge and hardware, to finally using emulation. It was a long journey and one of the games I have spent the most time in an not beaten. There was always this fascination of the game. I was fantastic at the beginning, but once you get to Frankenstein it was always dicey. So that means the first 1/2 of the game I rocked, and then it always fell apart. I’ve gotten to Death a few times, but I’m not sure I ever beat him. That might be stopping point on original hardware. For this run though, I used many save states with emulation. When you lose all of your lives in Castlevania you go back to the beginning. While the beginning is fantastic, there is only so much you can take. It is obviously a winnable game, but it wasn’t easy. I’ve been hacking away at it in my free time for the last week. At first I was only saving it when I cleared a level – then it was when I cleared an area. 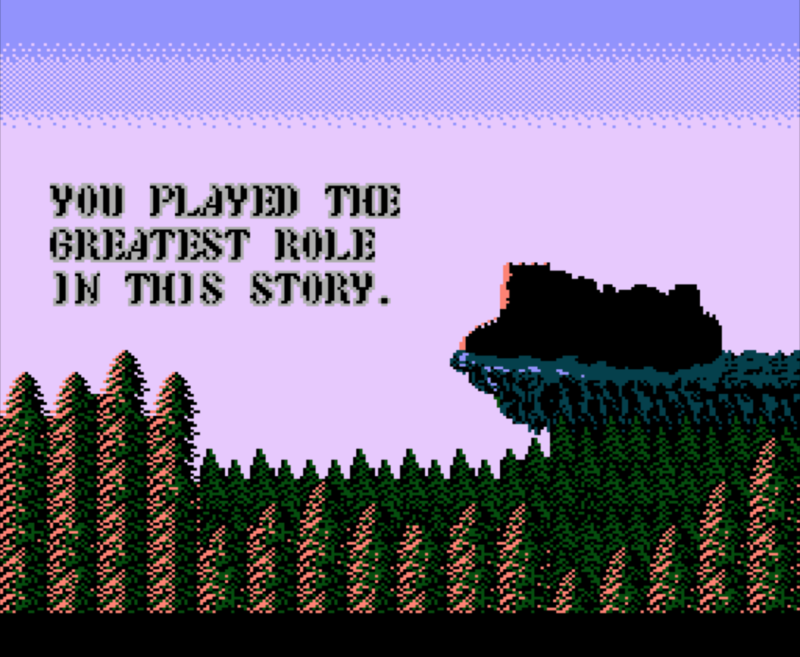 Finally when I made it to Dracula – it was many many saves. Overall there was 65 saves I made throughout the game. Since I did not have re-power up the whip or beat all the levels I already passed when I ran out of lives – this is truly cheating from the complete experience of Castlevania. However, I didn’t watch a Youtube video just to watch the credits either. It was still frustrating and tough – I just used a crutch. 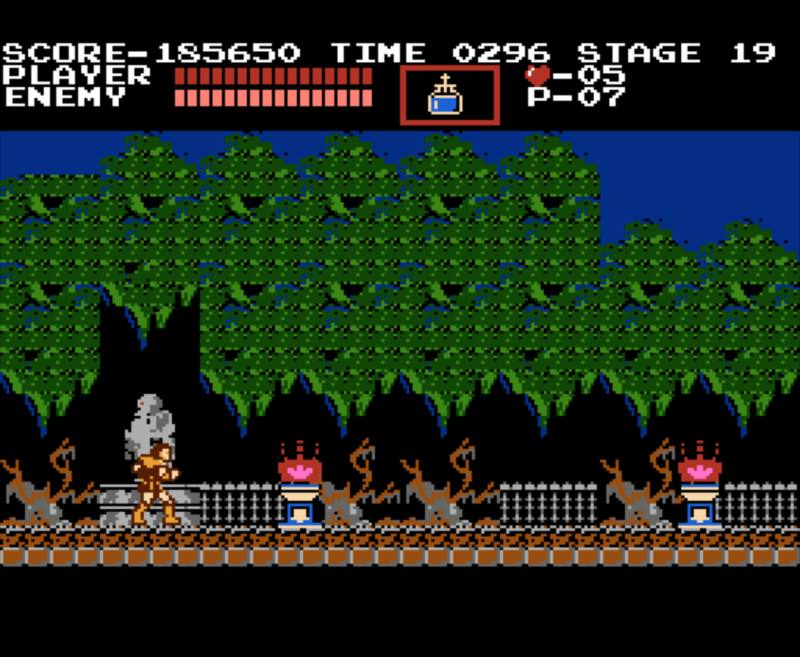 I’m sure many people back in the day say they “beat” Castlevania only to have used a Game Genie and cheat codes. This is at least more legitimate than that. The one thing that will come out of this is a better understanding of the game. Next time I play through it, I won’t be using save states (and will likely be on a real NES or a Gameboy Advance). I have a grip of what to do and how to handle it. I think my biggest challenge now that I understand how to beat Dracula is handling Death. The sickles are annoying as anything and I think that will be where I get stuck in the future. While I have beaten many video games in my life, this was one of the few unicorns. Now to tackle those other Unicorns – TMNT and Mike Tyson’s Punch-Out.